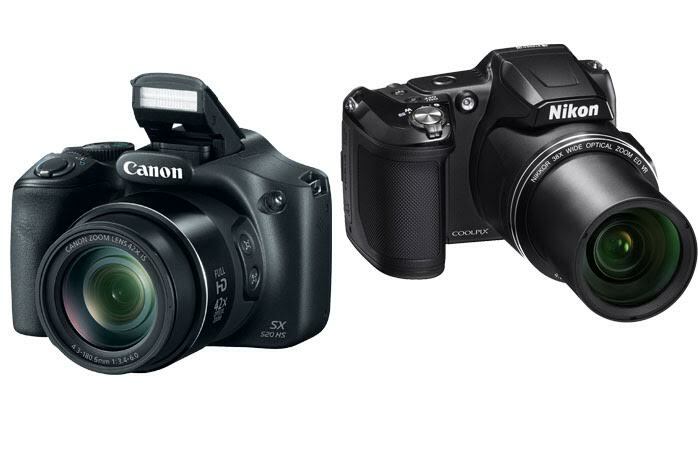 Are you wondering if you should go with Canon Powershot SX520 or Nikon Coolpix L840? No worries! In the article below, we are going to see the comparisons between Canon Powershot SX520 and Nikon Coolpix L840 to help you decide which model to purchase. These two digital cameras are loved by many, available around three hundred dollars. However, Nikon Coolpix L840 is usually more expensive than Canon Powershot SX520. This is understandable, considering that Nikon Coolpix L840 is also newer than Canon Powershot SX520. But, is it really better? In terms of design, both are indeed very compact and lightweight. They are perfect choices if you want a camera that is portable but is with excellent performance. More or less, these two products are of similar size and weight. Nikon Coolpix L840 is actually an update model for Nikon Coolpix L830, and Nikon Coolpix L840 has incorporated a 3.0-inch tiltable high-res display screen, making it superior to Canon Powershot SX520’s fixed display screen. Therefore, Nikon Coolpix L840 is very handy for taking shots from difficult angles and taking selfies. Howsoever, both models also come with textured surfaces to promote better handling. One notable advantage of Canon Powershot SX520 is the very powerful lens. It comes with a 24-1008mm Canon Zoom Lens which is capable of providing up to 42X optical zoom. Nikon Coolpix L840 has received a good improvement from Nikon Coolpix L830, but the maximum optical zoom is still below Canon Powershot SX520, only up to 38X. Both products here are utilizing a 16 MP 1/2.3” CMOS image sensor. Both are able to record 1920 x 1080 Full HD videos. However, Nikon Coolpix L840 is coming with 100 – 6400 ISO range. The maximum ISO is much higher than Canon Powershot SX520, which only has 100 – 3200 ISO range. In addition, Nikon Coolpix L840 also has a higher shutter speed of 1/4000s. As the effect, with Nikon Coolpix L840, you will be able to handle more difficult lighting conditions and be more creative with your works. Nikon Coolpix L840 also offers 7.4-fps continuous shooting and a much longer battery life than Canon Powershot SX520. Last but not least, Nikon Coolpix L840 features built-in Wi-Fi and NFC for easy file sharing and remote control. In general, Nikon Coolpix L840 makes the best way to go here. Even though the zooming power is not as high as Canon Powershot SX520, it provides better design, ISO range, shutter speed, and wireless connectivity.